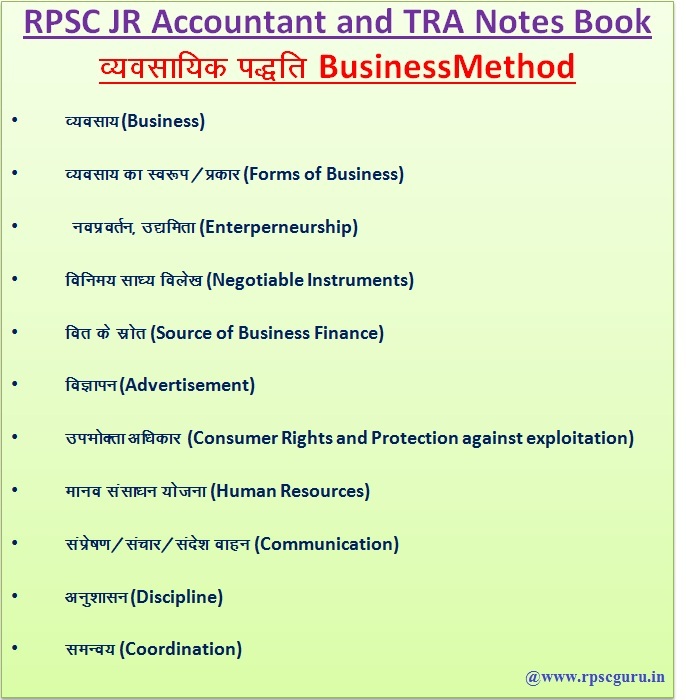 Business Method Short Notes PDF: Dear Readers we are updated here with RPSC Junior Accountant and TRA Notes Book PDF file. This book helping your Junior Accountant second paper in within Business Method according to RPSC Syllabus. The content is based on most unique for Accountant paper and prepaid by subject experts. 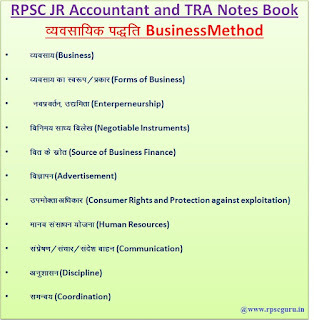 This notes file is also prepare to remembering competitions made in RPSC JR Accountant paper. This file helps you to prepare second paper Business Method subjects full preparations. Stay connected with us for latest update all about junior accountant exams. We are working with making Economics notes book and we uploaded the file within 2-3 days. Following chapters are covered in the PDF file.